Exported PDF reports with your company logo. 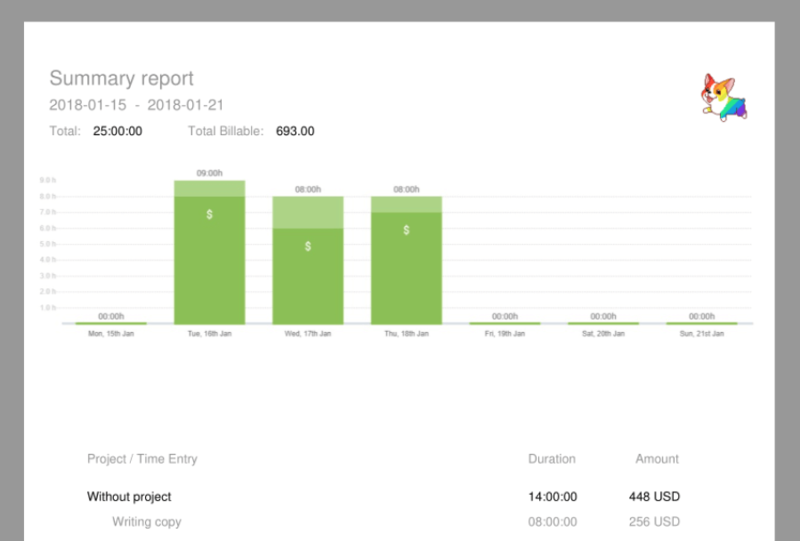 Branded reports is an extra feature, which you can enable by upgrading your workspace. Simply upload your company logo in your workspace settings and your logo will be included in each PDF you export.